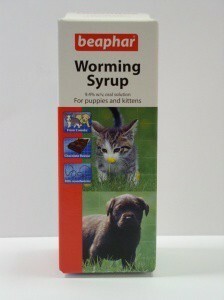 Beaphar worming syrup for puppies and kittens. Details: Beaphar Worming Syrup is a chocolate flavoured syrup supplied in a handy pump bottle. For the treatment of roundworm.